Every Russian Schoolboy Knows: Build your opening repertoire - Offbeat e4 lines Opening: C45: Scotch Game B51: Sicilian, Canal-Sokolsky (Nimzovich-Rossolimo, Moscow) attack Player(s): Yermolinsky, Kretchetov, Luther, Danailov Modern opening preparation not only goes deep, it also extends wide. Every player has to have a few tricks up his sleeve to surprise his opponents. This may particularly become important when you cannot hope to match your adversary's knowledge and understanding of topical lines. Sometimes, you just go on with some line that has practical value for this particular game. That's what I did a couple of times in my recent tournaments. The fact that I played 1.e4 in both games was a nice bonus, an element of surprise. 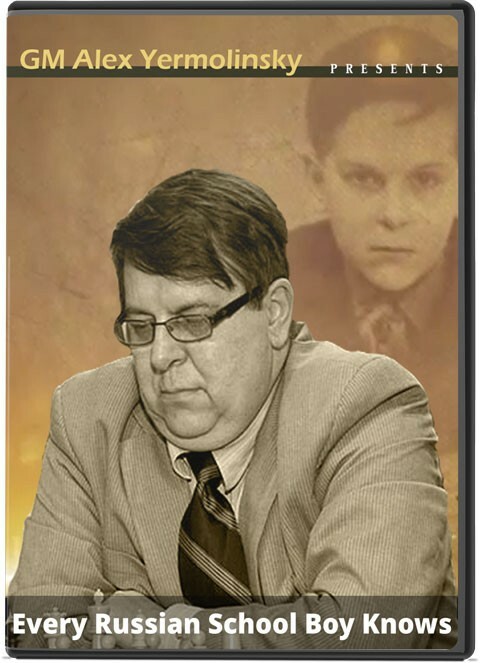 Part One deals with an obscure line in the Scotch game, which was played a few times by the uber-talented yet maddeningly inconsistent Russian GM Ian Nepo. True to his style, he put his pawns out while leaving his pieces undeveloped and the king dangerously stuck in the center. Black is certainly tempted to sacrifice something and crush White! My game deals with exactly that scenario. Part Two features White's somewhat bizarre attempt to uncover the possible weakness of 3...Nd7, now the most popular reply to 3.Bb5+ Anti-Sicilian. Invented by French GM Laurent Fressinet White concept revolves around piece play triggered by a pawn sacrifice in the center. Once again, the element of surprise played a large role in my own game, as my opponent lashed out wildly and went down in flames.